As part of the Phoenix Studios Live Show here is the poll to vote on the project name for the last 4 illustrations I have been creating. As part of the Phoenix Studios Live Show here is the poll to vote on the mascot name! Had a fantastic time speaking at The Collective last week. My talk focused on how to survive in the design industry, and why you need to be the rebel & reinvent yourself to succeed.. Thrilled to have been invited to speak at the Design Make Do event in London back in September. Check out the video of my talk from the event. Merchstand is live! Goods designed to rock! It’s here! Grab a selection of products designed to rock including T-Shirts, Plectrums & Stickers! It was time for some much needed upgrades so here’s a quick run down of the new updates and features that have been unleashed in Phase 3..
Honoured to have been invited by London Web meetup last week to give a 45min talk to designers and developers. 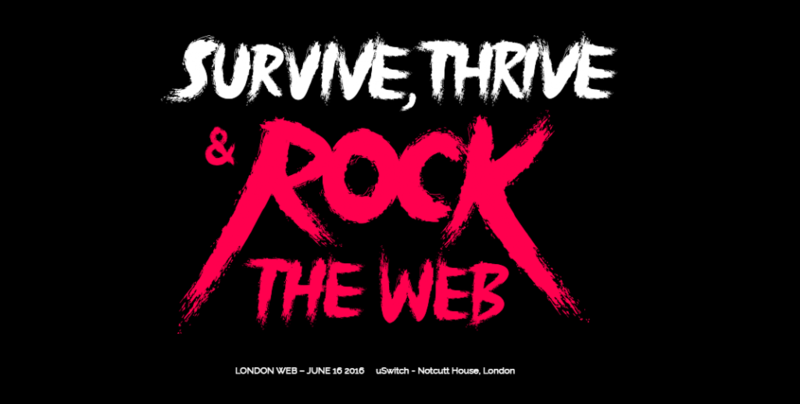 My talk Survive, Thrive & Rock the Web focused on the risks & rewards of freelancing, how to break out of your comfort zone to diversify your creativity and why making your own content is essential no matter if you are a designer, developer or UX specialist.